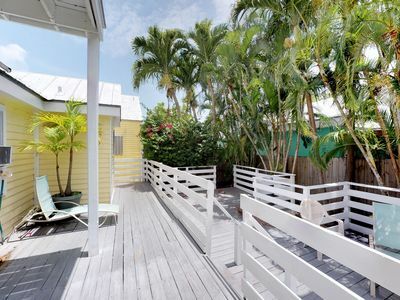 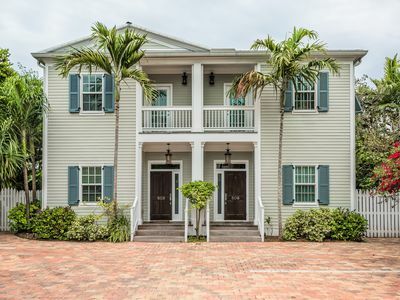 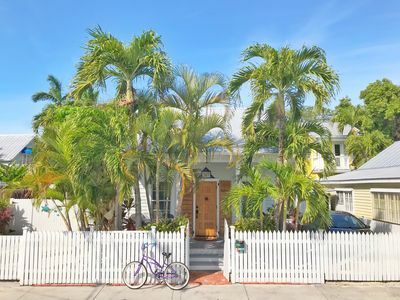 This recently renovated four bedroom, three bathroom traditional shotgun house with a twist, has a master suite which can be accessed both privately and through the main house. 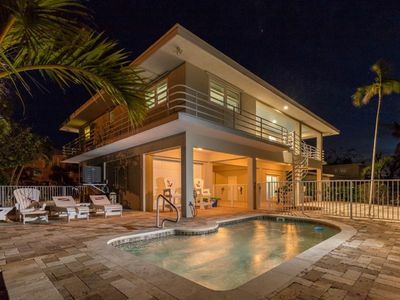 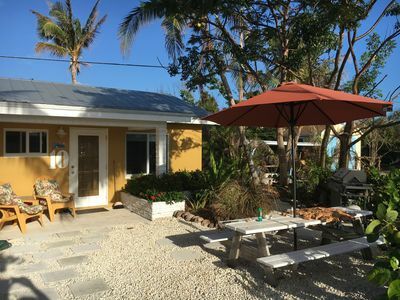 The home has a spacious post and beam addition that opens onto an outdoor area with a heated, saltwater pool. 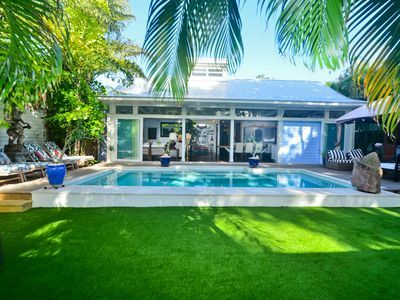 Play bocce on the back lawn or sip Gin and Tonics while lounging poolside. 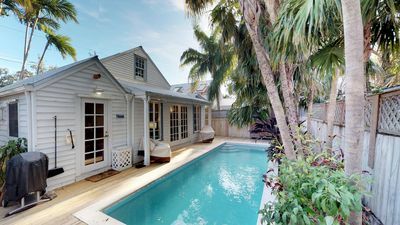 The open plan kitchen with state of the art appliances is a playground for the passionate chef, and the large great room is ideal for entertaining friends and family. 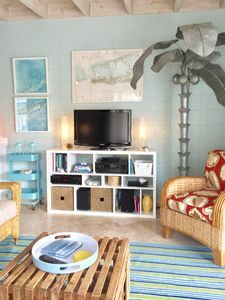 Blu on White is a home that is designed with comfort and relaxation in mind. 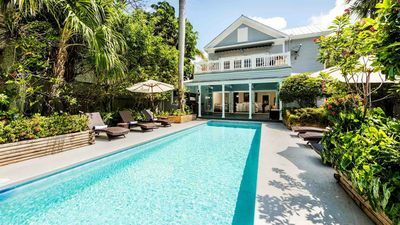 Recline in the antique Chinese opium bed or venture to one of Key West's world-class restaurants. 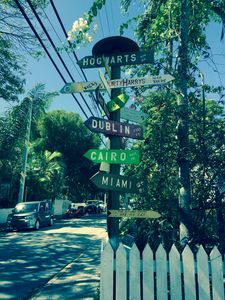 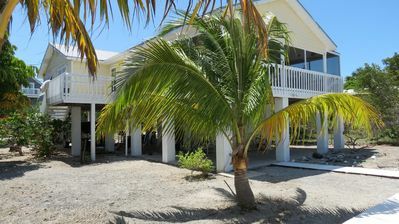 This unique property is ideally situated on the island with the beach just a few blocks away, and Cuban coffee shops steps from the house; Con Leche, Buccis, and Cheese bread abound. 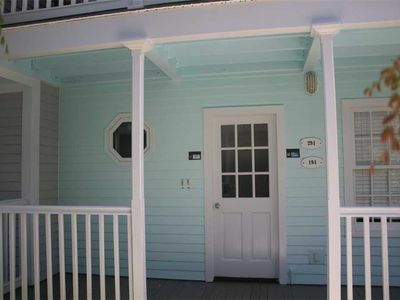 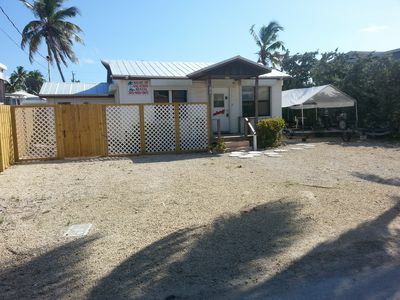 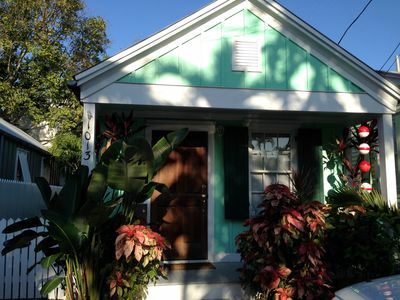 Quaint Conch House Located In Historic Bahama Village. 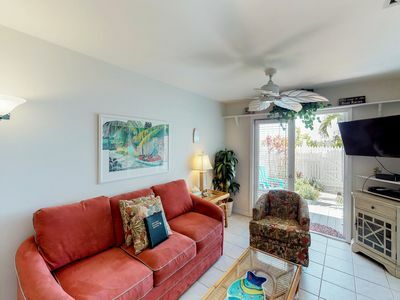 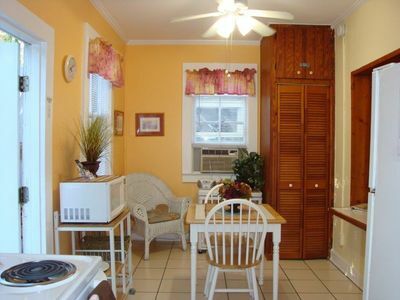 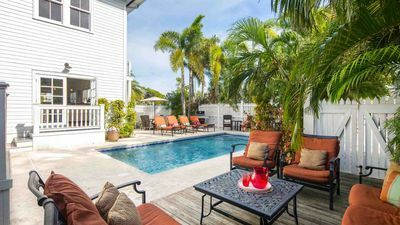 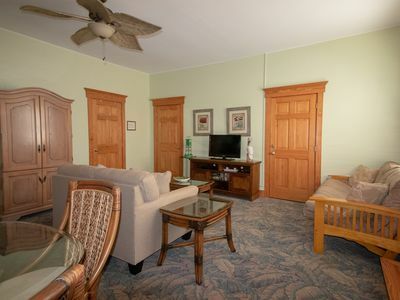 Tropical condo w/ private patio & shared pool - walk to beaches, Duval & more! 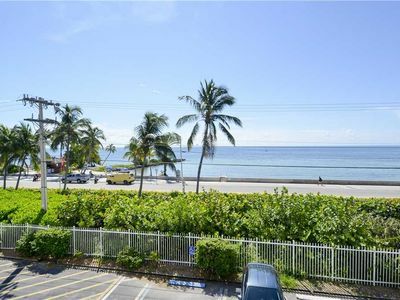 The Palms Sunset views with a FREE Boat slip Included! 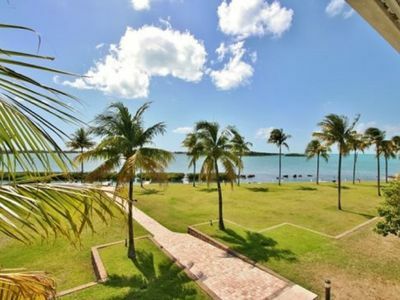 FREE 70' dockage with room for 2 boats, QUICK GULF & OCEAN ACCESS!